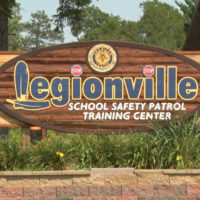 It can finally be said that the massive bog that has plagued the Legionville School Safety Patrol Training Center on North Long Lake in Brainerd is gone. The 4,000-ton bog forced the cancellation of all of Legionville’s camps and programs for the summer after breaking off from the shore of North Long Lake and floating in front of the camp. In what turned into a long process which took most of the summer, workers used steel cables to cut the bog into pieces and then used boats to float them from the shore. The American Legion plans to have camps back up and running for the 2019 summer season.